So I'm in Denmark. Its lovely it really is but I do want to discuss the definition of spring with Europe because no maan! as far as I'm concerned its clearly still winter. As a DIVA, don't read anything into that it actually stands for Danish International Visiting Artist, I'm in Copenhagen for two months doing literary stuff courtesy of the Danish Arts Council and also refusing to eat rye bread because bread. I'm here and in the meantime rumors abound back home that the government may be dismantling the Department of Arts and Culture. We also have no arts council, but thats a story for another day. I'm in DK meeting with writers' groups, visiting a refugee centre over three weeks to wordshop through what I suspect will blur the line between literature for literature's sake and life skills through film and words, I'm also mid spending two weeks with mostly under 12 year olds which can be nerve wracking but fun. We are working through some writing exercises with them and linking their writing with music originally composed for the project by Danish MC & producer J Spliff while tying their words in with the themed street art (graffiti on 11 tunnels) - yes the municipality is aware of the project otherwise I wouldn't be blogging about it. 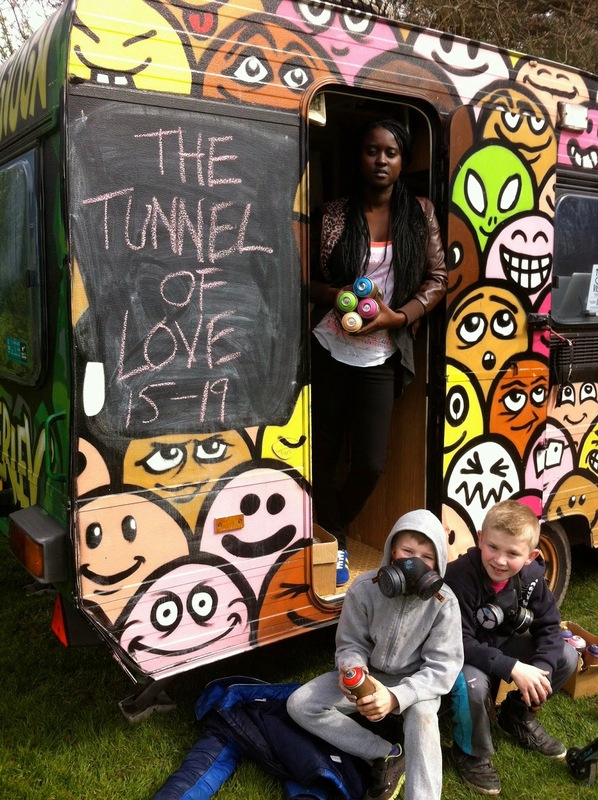 The Tunnel Visions project is work but its mainly on the kids terms, its after school, they come when they can, we sit in a colorful caravan in what is Denmark's low income area and invite them into a world of art and words and music. I still don't know if them bicycle riding Danish folks are the happiest people in the world but in what is admittedly not the favellas but is here seen as the ghetto Mothers who I suspect can little afford to coddle generosity send their sons back at the end of a day's work to give us cookies. After school programs and youth centers give us a place to sit and talk or plan our day and Peter Campbell Bensted leads a team of committed writers (Brandon Lewis/Juse One -USA and Nicolas/Olas-DK are amazing artists) who partly because they are so talented know (how) to leave room for the kids in their process. What they could finish in a day they allow to happen over time so the children can find themselves in the work, literally see their effort and by extension themselves occupying space. Loudly and legally. We all agree this is about the children first. And last. Anything in-between, including weather preferences and open sandwiches, is up for negotiation. Lots of updates over the coming weeks. For now, be good. This looks soooo breathtaking, all the graffiti. and that photograph is soo awesome, your host daughter is talented. sooo liberating indeed. Denmark is quite different from home which for me is always part of the joy of travel. My English is abandoning me, I meant to say that I took the grayscale photograph - sort of - I set it up and handed a camera to someone that day on the beach as a kind of old school selfie. 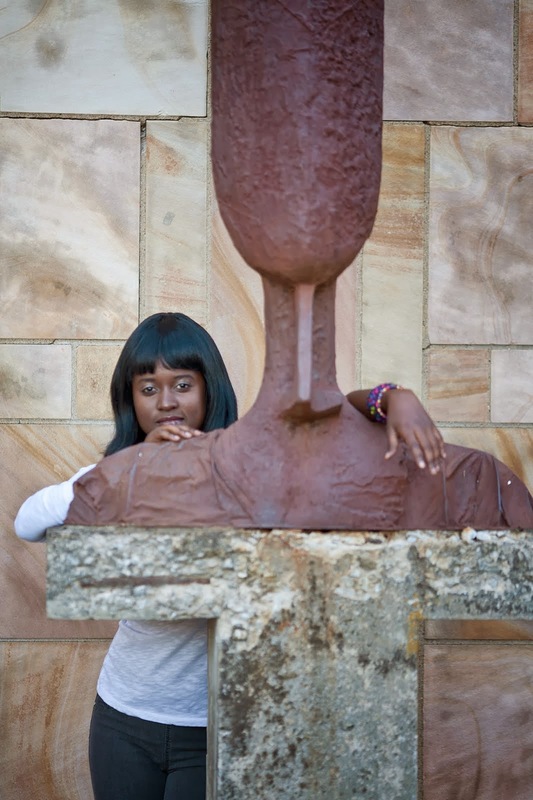 Her work is much more fascinating than some old picture of me.